BOOK OF HOURS. -Leaf from a book of hours on vellum. BOOK OF HOURS. - Leaf from a book of hours on vellum. Leaf from a book of hours on vellum. - BOOK OF HOURS. Title : Leaf from a book of hours on vellum.. Size : 6.5 x 4.7 inches. / 16.5 x 12.0 cm. 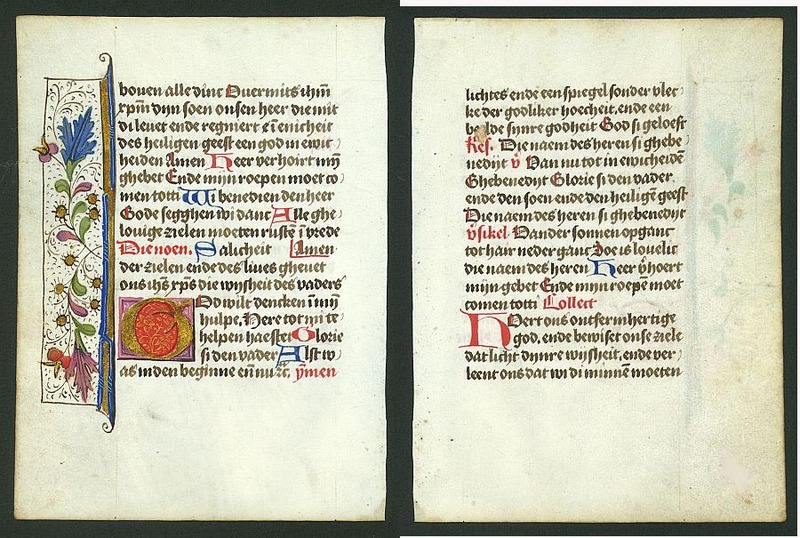 Description :Original leaf from a Renaissance manuscript Book of Hours with a 4 line initial G, text written in Dutch in dark brown ink on vellum. With a wonderful left panel. Condition : 17 lines of text written in Dutch in dark brown. Very nice condition and sparkling of gold.